~Mrs. 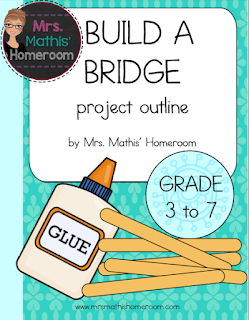 Mathis' Homeroom~: Build a Craftstick Bridge Freebie! Build a Craftstick Bridge Freebie! This is a fun project that I did with a small group of students a few years ago. To read a related blog post and see pictures, click here. This is always a favourite projet and friendly competition with my students. Enjoy!